St Louis Bankruptcy: Can I File A Bankruptcy With My Spouse? Yes, you certainly can. And sometimes filing jointly with your spouse makes the most sense (especially if you owe joint debts together). Of course there are different factors that need to be taken into consideration when making this decision, the only way to truly understand your full range of options is to meet with an experienced St. Louis bankruptcy lawyer. 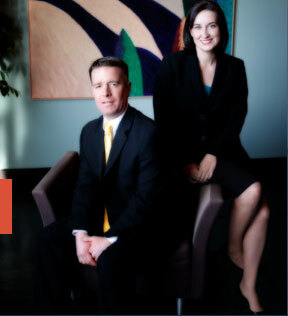 If you are married, then you have the option of filing your bankruptcy jointly with your spouse. Or on the other hand, you can file individually. One of the main considerations that someone should take into account when deciding whether or not to file jointly with their spouse is if joint debt is owed between the two of them. For instance, if you and your spouse jointly own several credit cards together (or loans, or any other type of unsecured debt), then a joint bankruptcy filing would probably make the most sense. Let’s look at a specific example: you and your spouse owe over $50,000 in credit card debt together. In other words, you are both jointly liable for the debts. You are contemplating a St Louis Chapter 7 (in which all unsecured debt is discharged). If you were to file individually (by yourself), then all of the credit card debt would be knocked out… but only as it relates to you. This means that while the creditors can no longer demand money from you, they can still go after your spouse for the full amount. Which means that it would still be a household debt. But if you were to file jointly, that debt would knocked out completely (and the creditor would not be able to come after either one of you). The best way to understand which scenario is appropriate is to meet with an experienced St Louis bankruptcy lawyer. He or she can explain to you in detail how the process works, and answer all of your questions! !